Last summer (god, was it really that long ago?) 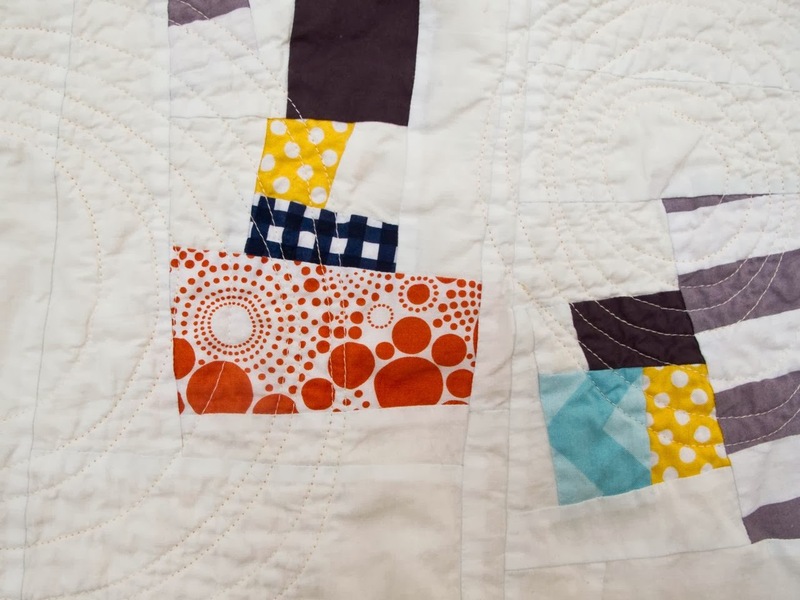 the MQG sent little packages of Riley Blake fabrics all over the world with the challenge to make something, anything, quilted. You were allowed to add in any solid or other Riley Blake prints, and it had to be finished by February 19th. So, of course, I held onto my fabrics until the last minute because I am terminally indecisive, and then I chopped them up into little bits (together with a whole load of white) and randomly sewed them back together again. My favourite kind of puzzle. 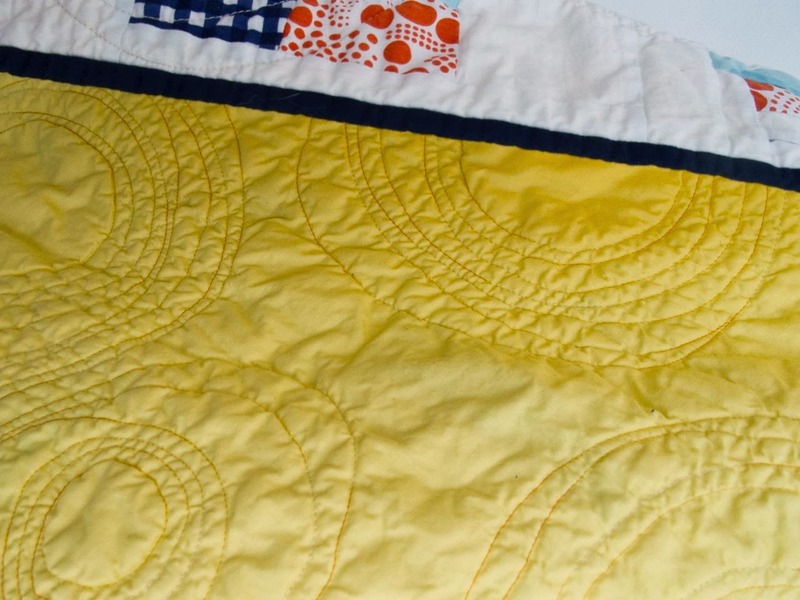 In keeping with the improv piecing I quilted in crazy concentric circles, with white thread on top and a variegated yellow in the bobbin. I was going to try the neat spiral quilting that others do so well, but got bored after two rotations and went with wonky instead. So much less stressful – I knew I would balls it up halfway through and have to unpick the bloody thing. Better to embrace the chaos early on, I think. The white solid, yellow backing and scrappy binding were all from my stash, and I used offcuts of batting. I love it when a (thrifty) plan comes together (not that there was an actual plan – let’s not overstate things). 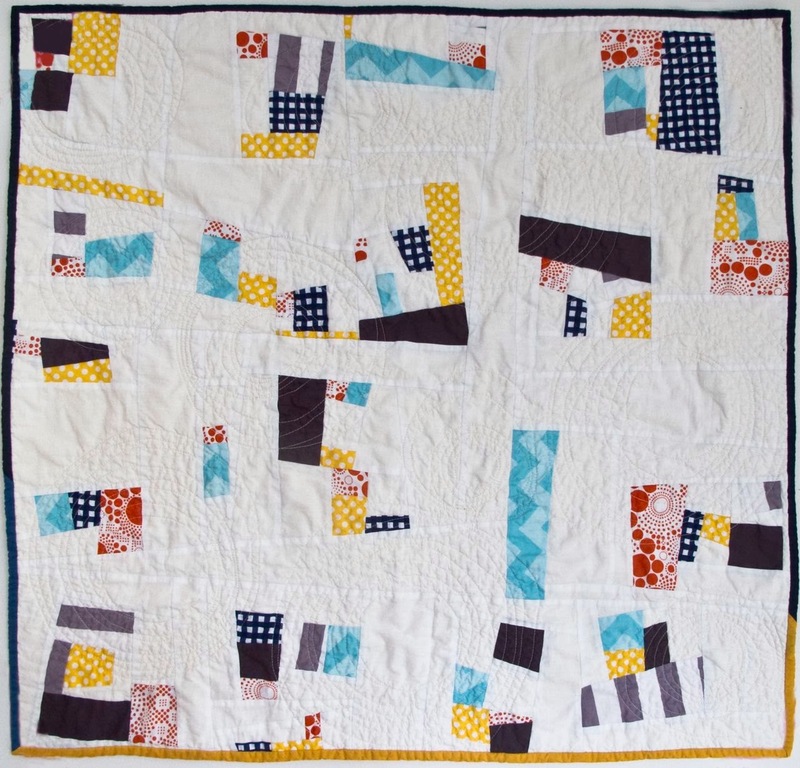 This little quilt is destined for the great-nephew (as a replacement for the one that got lost in the post, dammit). I think I’ll send it by courier this time.